Are you a fan of the handheld electronic games? You know, those pretty simple, but addictive small devices way before Game Boy and Sony PSP. 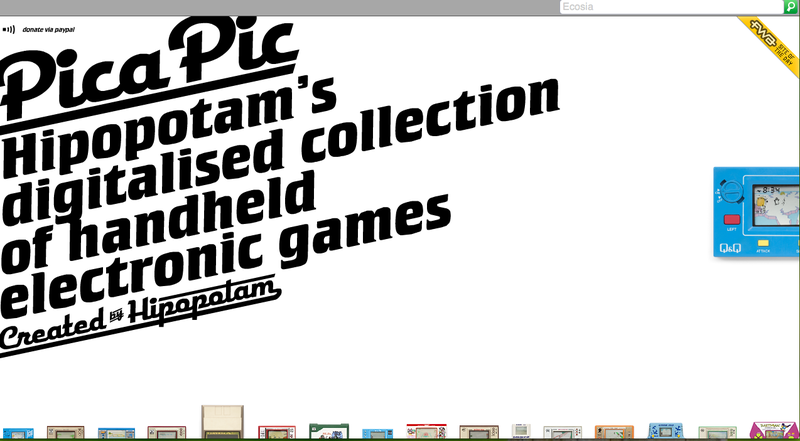 On this website your memories could be refreshed: http://www.pica-pic.com/ They have probably all of them. Donkey Kong and everything else from the 1980’s.